People today are more concerned than ever with online privacy. Bypassing censorship is no longer as easy as it used to be. There is so much new snooping technology that users who need to access restricted content need more advanced technology. HideMyAss is a popular VPN provider that can protect users’ Internet activities as it unblocks websites and other Internet enabled applications. The PRISM program of the NSA doesn’t just affect Internet users in the US. Reports revealed that the NSA has access to the email and phone data of anyone they know has ever communicated with anyone under their surveillance. On top of this, news of spying on Chinese mobile phone communications has recently surfaced. More news has revealed that people’s browsing, VoiP, instant messaging and chat, and file transfers and cloud storage are vulnerable to snoopers. In a country where Internet censorship is strong, it is vital for users to have a VPN like HideMyAss to block people from seeing what they do online. Data encryption for online communications has become as common as locking the house when leaving for the day and having bank account PINs. Securing the information that we send over the Internet is just common sense. 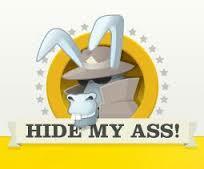 There is no all-in-one solution, but the HideMyAss VPN is a good tool for IP address, browsing and data security. Especially when using the VPN to bypass censorship and cover the tracks, HideMyAss is a top quality solution. IP addresses can reveal your identity because they are associated with users’ Internet service provider accounts. The anonymizing VPN HideMyAss blocks others from seeing your original IP address. This is useful for accessing blocked content and stopping people from knowing who and where you are. The encryption features of a VPN scramble users’ data and traffic. Anyone who tries hard enough to get to this data and traffic will see only strange markings that they cannot read. Of course, breaking the encryption code is always possible. But this takes a lot of time and a lot of computer power. Most people would not bother doing it. One big advantage of VPNs is that they don’t only work for website traffic, but for any application that connects to the Internet. In Internet censored countries where useful tools like Skype and VoIP are blocked, a VPN allows people to use them. Of course Skype participates in the NSA’s snooping program. But communications sent over the VPN are also encrypted and protected as they travel through the VPN tunnel to one of many available VPN servers worldwide. One good indication of the security of VPNs is the fact that the same anti-snooping technology is used by the people who most need the protection that anonymity provides: high-profile political activists and investigative journalists, and government agencies. One consideration for VPN users who need the service for video streaming or other heavy activities is speed. VPNs necessarily slow down a connection because the data sent through the VPN server is rerouted and encrypted. This is what keeps a user anonymous, but it takes up bandwidth to process and redirect all the data. Users need to have a stable and fast connection to take full advantage of a VPN like HideMyAss. To read more about HideMyAss and other top VPN providers, visit our top VPN Providers page.